Sestier was a chemist before joining the Lumière firm, which sent him to India with a Cinématographe in June 1896. His first film show in India was held at Watson's Hotel, 7 July 1896, such shows continuing until August, when he carried on to Australia. Arriving at Sydney on 16 September 1896, two days later Sestier gave a private screening at Goodman's Lyceum Theatre and soon afterwards opened a Salon Lumière at 237 Pitt Street, Sydney. In October Sestier began filming in partnership with Sydney photographer Henry Walter Barnett, starting with Passengers Alighting from Ferry 'Brighton' at Manly, the first Australian film, which was premiered at the Salon on 27 October. Encouraged by the success of this test film, Barnett and Sestier set out to film the Melbourne racing season. On 31 October they filmed the VRC Derby, and on 3 November the Melbourne Cup, a famous and highly popular set of films, concentrating on the social event rather than the race, most of which ended up in the Lumière catalogue of films for international exhibition. While in Melbourne Sestier presented a programme of Lumière films at the Princess Theatre alongside the pantomime Djin-Djin. With further views taken on their return to Sydney, Sestier and Barnett were ready on 24 November to present an all-Australian film programme at the Criterion Theatre. Further screenings continued to the end of the year, after which the pair broke up with Sestier moving on to Adelaide. During the partnership, it was Sestier who took all the films and presented them, Barnett who stage-managed and made good use of his social contacts. 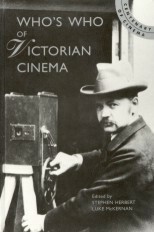 In Adelaide Sestier teamed up with showman Wybert Reeve, first presenting the Cinématographe and a programme that included several of his Australian scenes from 26 December 1896. He further toured Australia up to May 1897, when his exclusive presentations of the Cinématographe ended and the machine became available for purchase to individual exhibitors. Sestier then returned to France, having left behind both the machinery and others trained by him to establish a native Australian film industry. On his return journey he may have passed through Indo-China and Japan. He then became director of the Lumière Patents Company. His first name is wrongly given as Maurice in several sources.